Sometimes, when I write a blog post, I simply sit in front of my computer, open iA Writer, and tap away at the keys until it’s done. Other times I find myself locked away in a room with the computers turned off, the lights dimmed, the phone nowhere to be found, and instrumentals playing in the background. These are the times when I feel I have to put pen to paper and let my thoughts, feelings, and reflections flow through the ink. This is one of those times. There are so many thoughts I’d like to express and shout outs I’d like to give, but I’m going to do my best to keep it brief (especially after this relatively long introduction). I don’t normally enjoy conferences very much. I usually find myself trying to figure out what the real purpose is. That’s not to say I don’t find value in going, I just don’t normally like going very much. 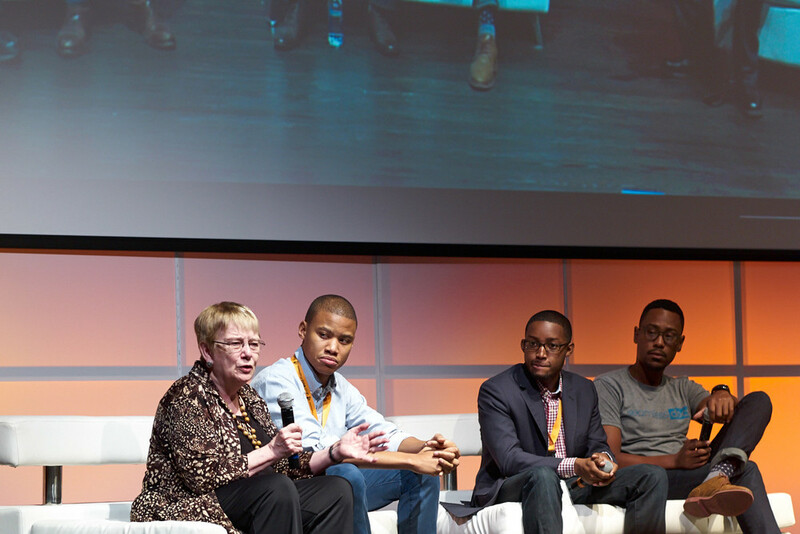 Something about Black Tech Week was different—a little more intentional and real than I’m used to. It was obvious (and I use that work sparingly) that Derrick, Felicia, and all those who came together to support this event held the participants in the high regard throughout the entire process. It seemed as though every decision made was in the interest in crating the maximum a amount of value for those in attendance as possible. There is much to say, but I don’t intend to turn this into a review or comparative analysis by any means. If you would like to know more about the program and presenters please check out their website. The community is still very active and, between the participants, organizers, and speakers, there are tons of interesting, innovative, and inspiring people, projects, and organizations to look into and build meaningful relationships with—and it’s a very well-designed site. It felt really good to be surrounded by such an entrepreneurial, motivated, socially-engaged, and talented group of black people. The technology sector has a reputation of excluding people of color and people who identify as women. It was good to see us are out there and making it happen. There is no lack of talent in the black community. At the end of the conference there was a day0long hackathon featuring teams of young people. The winning team was a group of five young, black women. Their idea is one that could potentially change local and global communication. This illustrates that there is not a lack of talent in communities underrepresented in tech, but that we need to focus on developing the skills and removing the institutional barriers preventing access. Special shout out to Diane Freaney. She’s been serving as the CFO of For The Children, working alongside Ms. Reginale Durandisse for several years now for free. One of the things I respect the most about Diane Freaney is that she doesn’t do this work as charity, but because she truly believes in the inherent all people and that the unique talents, skills, and creative thinking of marginalized communities can help usher in the future she wants to exist. There’s a lot already being done. Now it’s time to connect the dots. One of the most impactful things on me was seeing how many people are already working to increase access to technology and to use it as a platform for economic and social empowerment and development. There were many people in the room with a very intimate understanding of the systemic issues and are actively working to address them. Within minutes of my arrival, I was already thinking about the people I know who would have a lot to offer and gain by being there. I’d love to see David Harris, Alma Lorraine Bone Constable, and a large number of youth be a part of this movement. Okay, this is getting lengthy, so I’m going to go ahead and bring this to a close. Kudos to those who made Black Tech Week happen. I’m excited for all of the creations and connections that are emerging from this conference and I’m looking forward to next year. I’m saving the date for February 23, 2016.